Wooster Geologists in the Air! CLEVELAND TO LAS VEGAS–The Wooster Geology Department has started a week-long Spring Break field trip to the Mojave Desert of southern Nevada and California. Our Desert Geology course has been so far eight weeks of preparation for this expedition, which includes all four faculty members, ten students, and Jesse Wiles (intrepid son of Greg Wiles). We will post images and comments throughout the week when we get internet access. You can read about our itinerary posted on Week #8 of our online course syllabus. 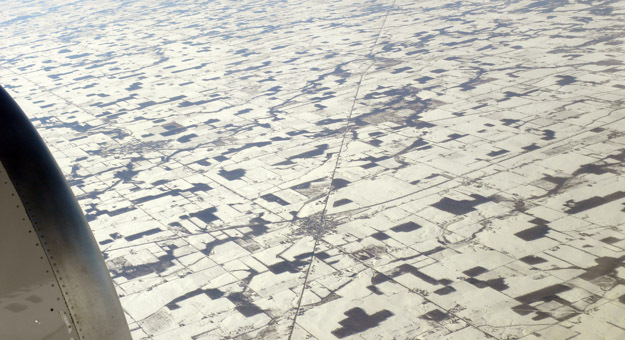 Snowy Ohio farmland southwest of Cleveland. 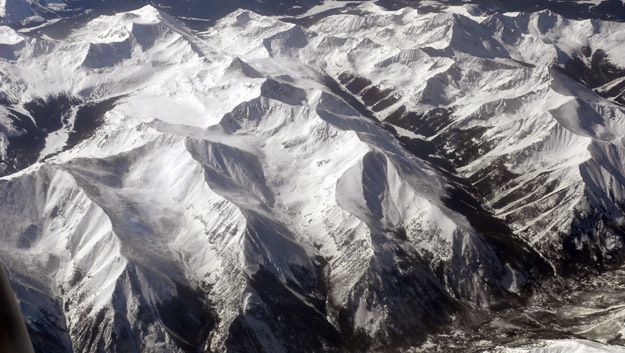 The Rockies somewhere in Colorado. 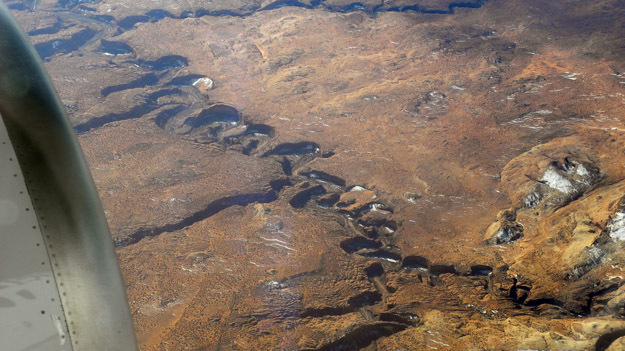 An entrenched meandering river on the Colorado Plateau of southern Utah. Beautiful structures in southern Nevada. 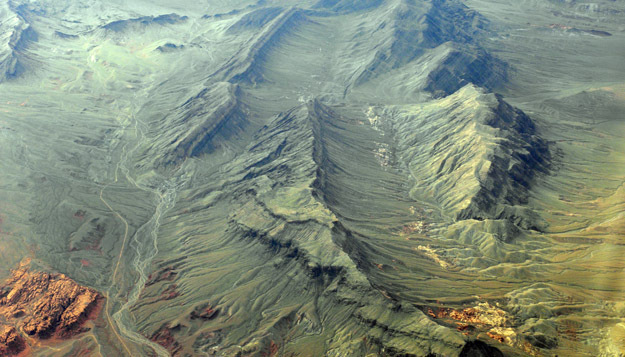 The red rocks in the lower left are Mesozoic sandstones exposed in a tectonic window through the folded gray Paleozoic rocks thrust above them. We landed safely in the very crowded Las Vegas airport, rented three vans, and then headed northwest to visit the Red Rocks National Conservation Area at the base of the Spring Mountains.